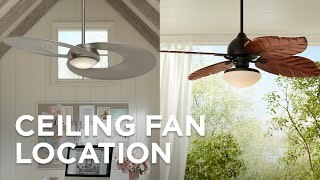 This stylish Cristafano ceiling fan is from Minka Aire. From the Minka Aire fan collection. Includes six 15 watt bulbs (uplight). Includes two 50 watt halogen bulbs (downlight). Fan height 13" blade to ceiling (with 6" downrod). Fan height 19-3/4" ceiling to light kit (with 6" downrod). The size, light output, and style were just what we needed for our living room. I wish the CFM’s were higher, but it’ll be fine. I needed a larger fan and I did see it in the store and thought it was beautiful and classy. I love the look of more traditional decor. What Sized ceiling medallion hole is necessary for this fan? 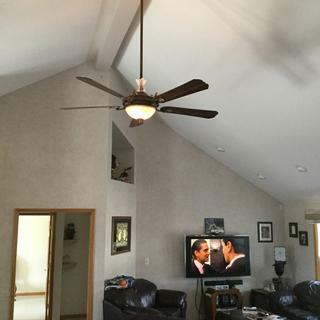 BEST ANSWER: The ceiling fans canopy measures 6 1/4" wide. what does the wall control look like theres no picture ? What is the actual measurement from ceiling to bottom of light kit with the 16 inch down Rod? BEST ANSWER: Per the manufacturer, from ceiling to blade measures 20.75" (w/16" rod) and from ceiling to the bottom of the light measures 27.25" (w/16" rod). I do apologize, our website will be updated shortly. What is the diameter of the housing that covers the opening to the fan box in the ceiling? I have a ceiling medallion with a limited opening. BEST ANSWER: Hi - the canopy measures 6 1/4" W x 2 5/8"H.
BEST ANSWER: Hi - Per the manufacturer, this includes a 16" rod. If you plan on not using the decorative crystal piece at the top of the motor, you can purchase and use a 3.5" down rod. 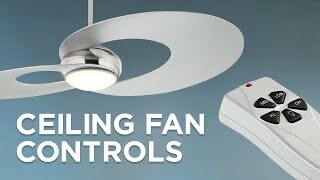 Can I buy a remote for this ceiling fan? BEST ANSWER: Hi - Yes you can. If you are browsing on a personal computer, simply click the “Optional Controls” arrow on the product details page for your controller options, or contact one of our Lighting and Home Décor Consultants for assistance. 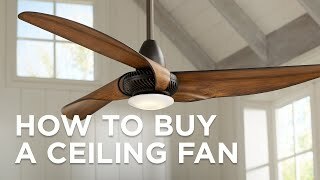 You can it does not come with it but you can't change the speeds on the fan without it. Also make sure you order the one that allows you to work both lights and the different fan speeds as well as reverse. Just get the remote when you order the fan. But I love, love, love this fan. With 16” rod, what is distance from ceiling to lowest point? BEST ANSWER: The fan height is 19-3/4" from ceiling to bottom of the light kit (with 16" downrod). Does the fan come with a canopy or medalion? BEST ANSWER: The fan comes with a canopy that measures 6 1/4" in diameter and 2 5/8" in height. The ceiling fan does not come with a medallion however, we have plenty of beautiful medallions to choose from. To browse our selection of medallions, click on the link below. Are the fan wires aluminum or copper? Are the lights dimmable. There is no mention under details. BEST ANSWER: The ceiling fan light kit is dimmable. The fan uses Aluminum copper plated wiring. All Wiring is Copper. Up and Down Lights are controlled separately and both are completely adjustable from off to full brightness. Does this fan come in a 56 inch? BEST ANSWER: This fan is only available in a 68" span. We have a nice selection of traditional fans that are 56". Below is a link to the selection for your consideration. How bright is the light on this fan? Is it sufficient to light a large room well? BEST ANSWER: This will provide general room illumination, but you're still going to want to layer in other lighting sources, especially if the room is large. The Up Lights are 5 15W bulbs and adds a warm glow to the ceiling, while the Down Lights are 2 50W Halogen Bulbs and produces a range from warm glow to brilliant illumination. The lights are dimmable, It is in a large room here, & the bright light is very light. The customer representative I had was, Fadi Y., and he was so courtesy and helpful in every way. He was knowledgeable about this product and made my buying experience very pleasant. Both fans arrived in perfect condition and exactly when they were supposed to arrive. They were packed extremely well. My son installed them with great ease and we both were taken back by how beautiful they were after he finished installing them. I couldn't be more pleased with this purchase. 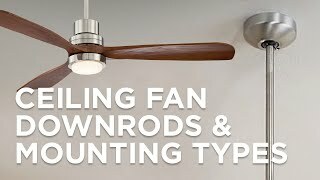 My wife and I purchased a Minka Aire 68 in Cristifano ceiling fan from our local Lamps Plus store and paid to have it installed and our old fan removed. All was going well until the installer advised us the ball socket arm that hangs the fan from the socket brace mounted to the ceiling was missing. It took a few more days to locate the part from another returned open box fan and our fan was up and running and looked beautiful. All was well, until the remote control receiver on the fan went out a few days later and we could not turn on the lower light. The receiver on the fan was ordered and then installed several days later. It is now working perfectly!!! Hopefully there will be no more issues. The fan is beautiful and circulates our large family room very nice. We are very happy with our purchase and would buy another one dispite the minor issues we had that were taken care of to our satisfaction. I'll be purchasing another one! The delivery was very fast, I ordered the fan and two days later I had it. The box and contents were in perfect condition. I had excellent delivery time. The Salesman I worked with was both professional and knowledgeable of his products. Both fans arrived in excellent condition. They were packed perfectly. I am truly pleased with Lamps Plus and the excellent service their representatives give you. great for our big great room!!! The Minka Aire Cristafano is everything and more than I expected. Truly a beautiful addition to my house. 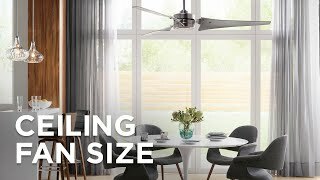 The old saying, "you get what you pay for", definitely stands true with this Ceiling Fan. It took longer to assemble and tear down the scaffolding than it did to remove the old fan and install the Cristafano. The only thing that I was dreading was performing the balancing because of having to go up and down the scaffolding, but when I cycled the fan through Low, Med, and Hi, I couldn't believe it was perfectly balanced. Absolutely no wobble at all! This is what I call craftsmanship! Beautiful fan, poor factory quality. The fan is beautiful! 2 blades came damaged. When my electrician installed the fan, the lights did not work. Upon troubleshooting the fan, he uninstalled it and found the light kit was assembled backwards. It took twice as long to install the fan, therefore therefore it took twice the labor time to install the fan. 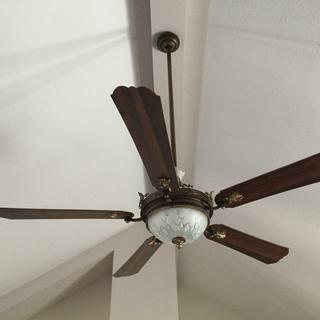 Hi Roxanne A., so sorry to hear that some of the blades on your ceiling fan came damaged, and that there were some issues with the light kit assembly. Could you please reach out to our customer service team with more details? They would be happy to provide troubleshooting suggestions or other assistance. Thank you. This beautiful antique pewter ceiling fan from Emerson has hand-carved dark walnut finish blades. Form and function seamlessly unite in this cutting-edgecontemporary ceiling fan design from Minka Aire.